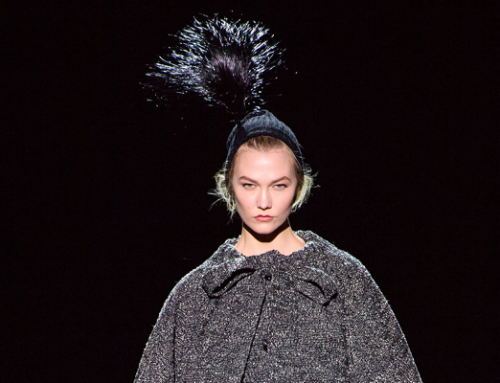 Milliner Stephen Jones and designer Marc Jacobs have a long history of collaboration. Fusing high fashion and exquisite hats, Jones’ talents have been on display at plenty of Jacobs’ high profile shows over the years. 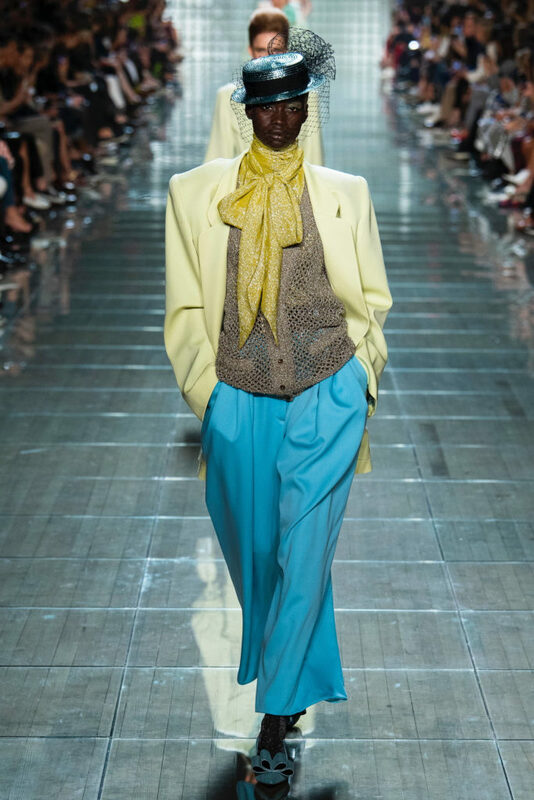 And, Marc Jacobs’ NYFW Spring/Summer 2019 Ready to Wear Collection was no exception. Models dressed in pastels and metallics, ruffles and feathers dominated the runway with custom hats on top of their heads. The collection left us reminiscing about decades of fashion; frills from the fifties, suit jackets from the seventies, and mini-dresses from the eighties. While each outfit featured pastels and bold shades, the colors were slightly muted, creating a ‘lived in,’ historic look. 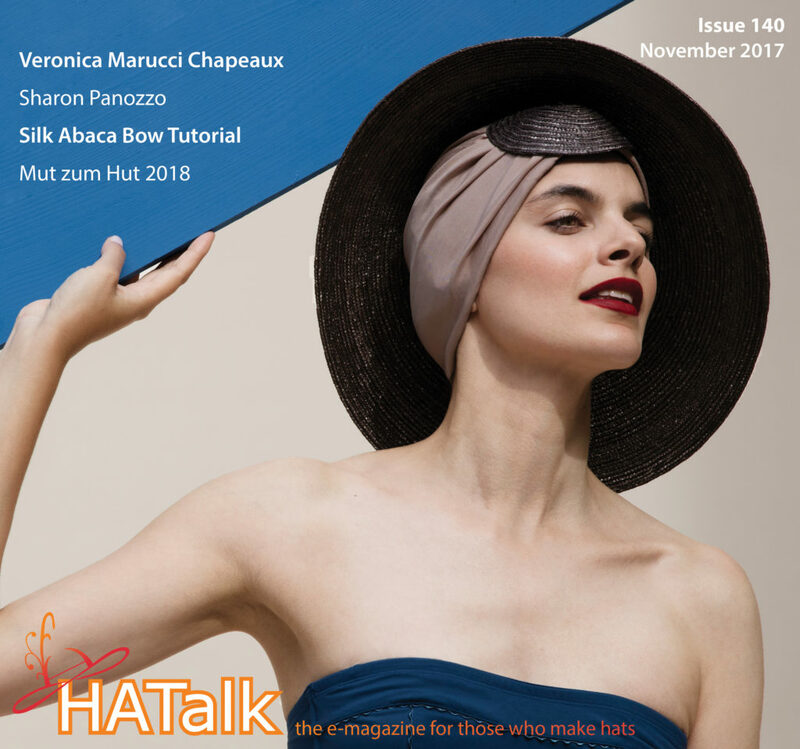 Between the voluminous hair and the custom hats, not two models looked the same. 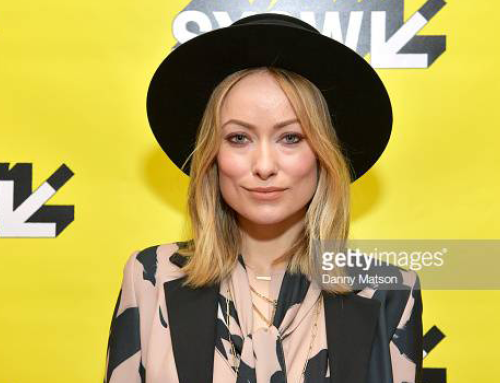 However, Jones did stick to a common trend that we have been seeing in millinery fashion over the past few months. A few looks featured veiling and sheer material as the only part of the fascinator. Delicately placed over painted hair, these fascinators were a simple touch that made each look more high fashion. No veil was the same color, but they all created a similar shape and fell right below the model’s eyes. While some runway fashion isn’t easily recreated for everyday life, these headpieces are quite practical. Jones also used his designs as art on some models. In a slightly eerie manner, Jones styled pieces that used colored sheer veils to completely cover a few models faces. 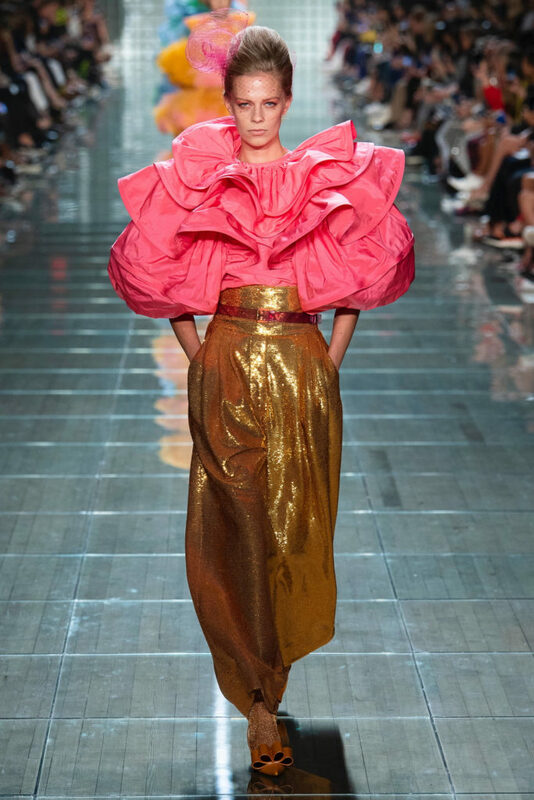 Appropriate and interesting for a runway, this is probably not a look you would choose to wear at your next hat-worthy occasion. Still, the effortless scrunch of material in the back is a technique that could work well on nearly any kind of hat. In true hat fashion, Jones also created traditional hat shapes with veiling. These mini boater hats came in colors matching each respective outfit and featured black sashes and thick colored veiling. The hats mixed masculinity with gentle femininity between the shape of the hats and the trimming. While that is an unlikely combination, perhaps Jones will set a new trend in hat fashion for the upcoming months. 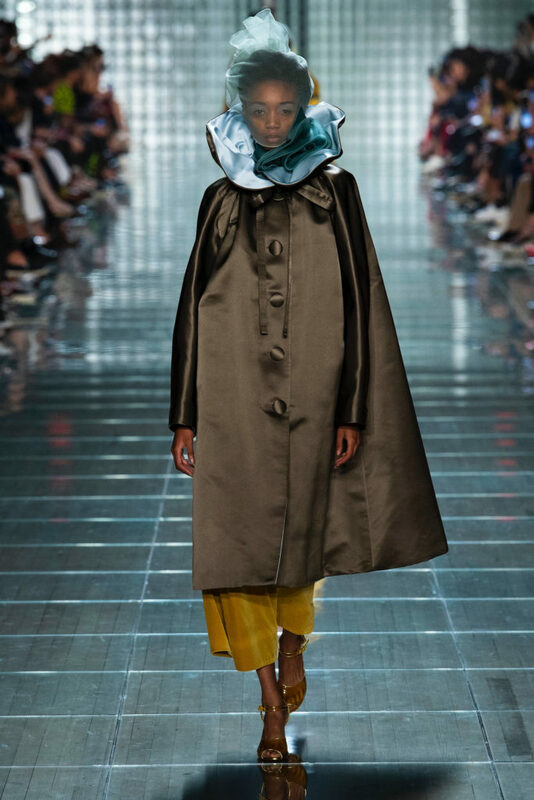 Through Marc Jacobs’ September 2018 New York Fashion Week Show, Stephen Jones was able to express one simple element in three different ways. How will you incorporate veiling into your next hat creation?